County court jurisdiction in some civil cases would rise first to $30,000 and then $50,000, Supreme Court justices would be able to work remotely away from Tallahassee, and trial judge candidates who run unopposed would have their filing fees refunded under bill that recently cleared the Senate Judiciary Committee. Sen. Jeff Brandes, R-St. Petersburg, made some changes to the county court jurisdictional limits in SB 328 at the meeting and conceded more changes are likely as the measure makes its way through more committee reviews. Aside from those limits, the filing fee refund, and allowing justices to have home offices away from Tallahassee, the bill also addressed court-house security coordination between sheriffs, county commissions, and chief judges. Brandes originally proposed, effective January 1, raising the county court jurisdiction from $15,000 to $25,000 for cases involving insurance coverage and to $50,000 for non-insurance cases. At the committee meeting, he proposed an amendment — which was adopted — setting the limits in non-insurance cases at $30,000 beginning in 2020 and then hiking it to $50,000 two years later, with court officials reporting on the impacts of the $30,000 limit before the higher figure goes into effect. The Supreme Court appointed a workgroup to study county court jurisdiction limits and endorsed its recommendation to raise the limit to $25,000 in all civil cases. In response to a question, Brandes said be was balancing the court’s recommendation with preferences in the House for the $50,000 limit. “In my conversations with the court, even a couple days ago, their concern was going from $15,000 to $50,000 overnight was overly burdensome in some jurisdictions,” he said. The Supreme Court based its $25,000 figure on the workgroup finding that just by adjusting for inflation since the county court jurisdictions was set at $15,000 in the early 1990s, it would be about $27,000. The court rounded that down to $25,000, Brandes said, while he chose to round it up to $30,000 to be closer to the House preferences. Giving a two-year pause before going to $50,000 would allow court officials to study the impact of the rise to $30,000 and recommend any adjustments, he said. The section on Supreme Court residency allows a justice who “permanently lives outside Leon County” to have an “official headquarters” in a district court of appeal, county courthouse, or other appropriate facility with the state picking up travel expenses when the justice must come to Tallahassee. On trial court candidate filing fees, the bill provides those fees will be refunded within 20 days for candidates who are “unopposed at the time the qualifying period closes.” The filing fee is 4 percent of the job’s salary, or in the case of circuit judges, $4,843.20 and slightly less for county judges. Brandes said he was concerned that many trial judges, who are largely unopposed when they seek reelection, pay their own expenses. The security section of the bill requires sheriffs to coordinate with county commissions and chief judges on security issues, with the counties funding that security. 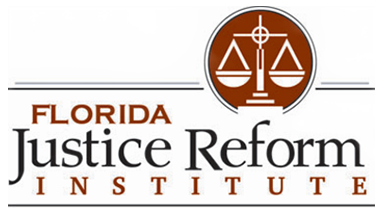 William Large of the Florida Justice Institute opposed the bill, saying it should stick with the $25,000 limit supported by the Supreme Court and warning the higher county court jurisdictional limits would result in more appeals of county court decisions to circuit courts, which are not equipped to handle them. Some circuits have three judge panels while others allow a single judge to handle the appeals, he said. Large noted the Supreme Court in its recommendations called for more study of the county court appeals to circuit court. Second District Court of Appeal Judge Robert Morris, who chaired the Supreme Court workgroup, said the $25,000 recommendation was based on inflation and the experience of a hike from $15,000 to $25,000 in the Virginia court system. He did express concern about the hike to $50,000 after two years, saying if it was in the bill it would be harder to take back regardless of data. He also had reservations about setting different limits for insurance and non-insurance cases. The Supreme Court study estimated that raising the jurisdictional limit to $25,000 would result in about 7.4 percent of all circuit cases being filed in county courts. Going to $50,000 would result in 25.9 percent of circuit civil cases winding up in county courts. It did not have figures for differing limits on insurance and non-insurance filings. Dale Paleschic, representing the Florida Defense Lawyers Association, said the association supports the Supreme Court’s position, but doesn’t support a second bump to $50,000, and is also concerned about appellate issues. Second Circuit Chief Judge Jonathan Sjostrom said the Conference of Circuit Court Judges is continuing to study the bill’s provisions on courthouse security and has not reached a consensus. He noted the issue was raised at the end of the 2018 session but was not resolved. Although the bill passed the committee 5-0, Brandes and committee members said they expect further refinements. Sen. Jose Rodriguez, D-Miami, said he was concerned loss of judicial filings fees, which like other campaign filing fees go to fund election law enforcement, would hamper that enforcement and questioned whether a second jump in jurisdiction limits for non-insurance cases was needed by 2022. The bill next goes to the Appropriations Subcommittee on Criminal and Civil Justice and the Appropriations Committee. A similar House bill, HB 337 on increasing the jurisdiction of county courts, has been referred to the Civil Justice Subcommittee, Justice Appropriations Subcommittee, and the Judiciary Committee. It has not been set for a meeting. Another bill, HB 639 on courthouse security, was filed February 4 but has not been assigned to committees.